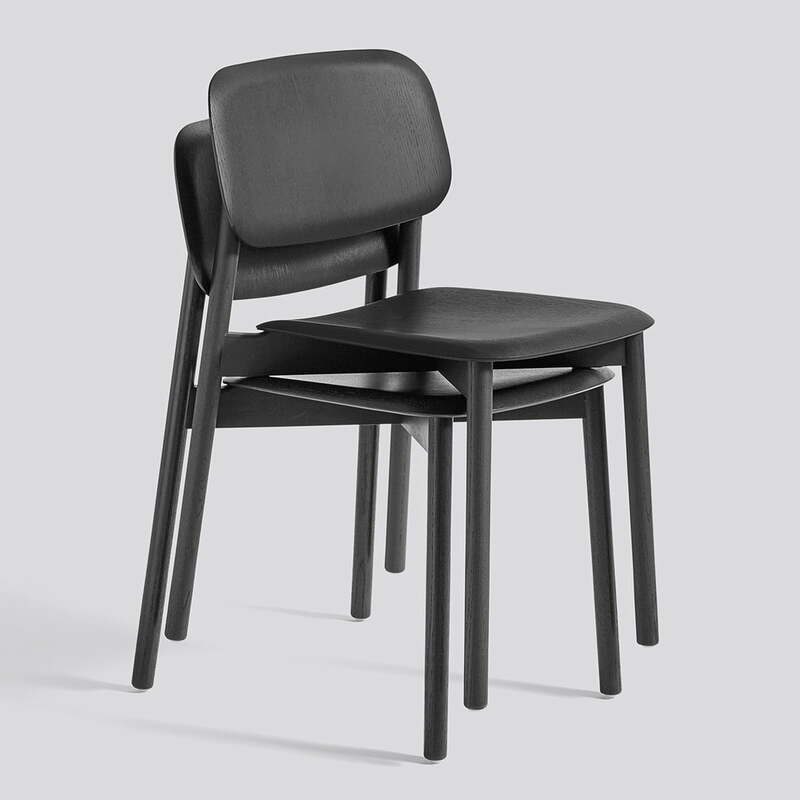 The Soft Edge chair by Hay features an innovative design, which ensures a high degree of comfort. 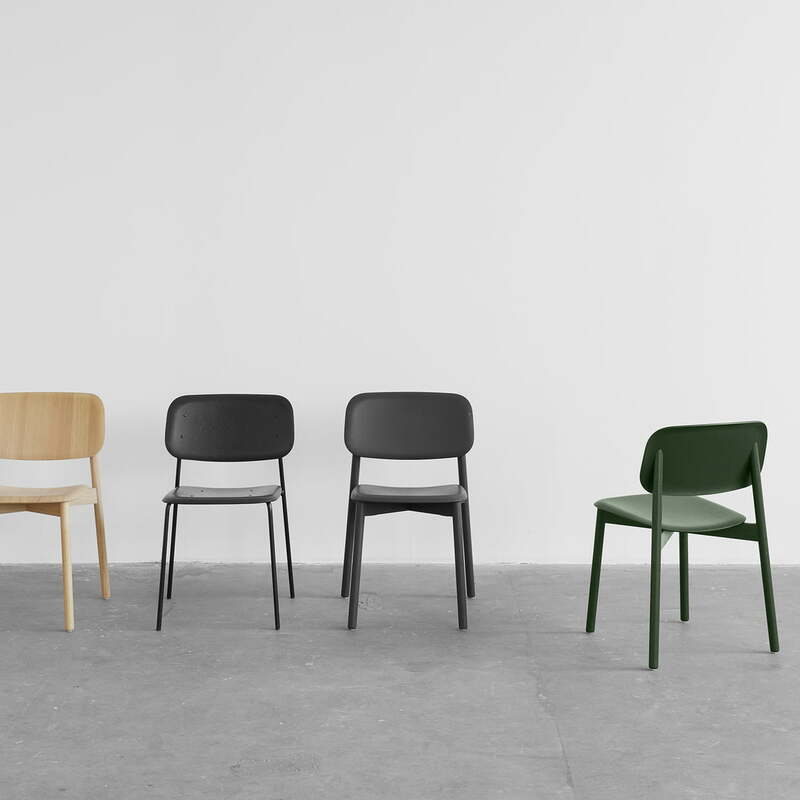 Despite its simple look, the chair is created using the latest production techniques. Already in the 50s, people experimented with the possibilities of common veneer, but soon reached its limits. Boris Berlin and Aleksej Iskos, together with Hay, have taken up this challenge again. The result is the Soft Edge chair. 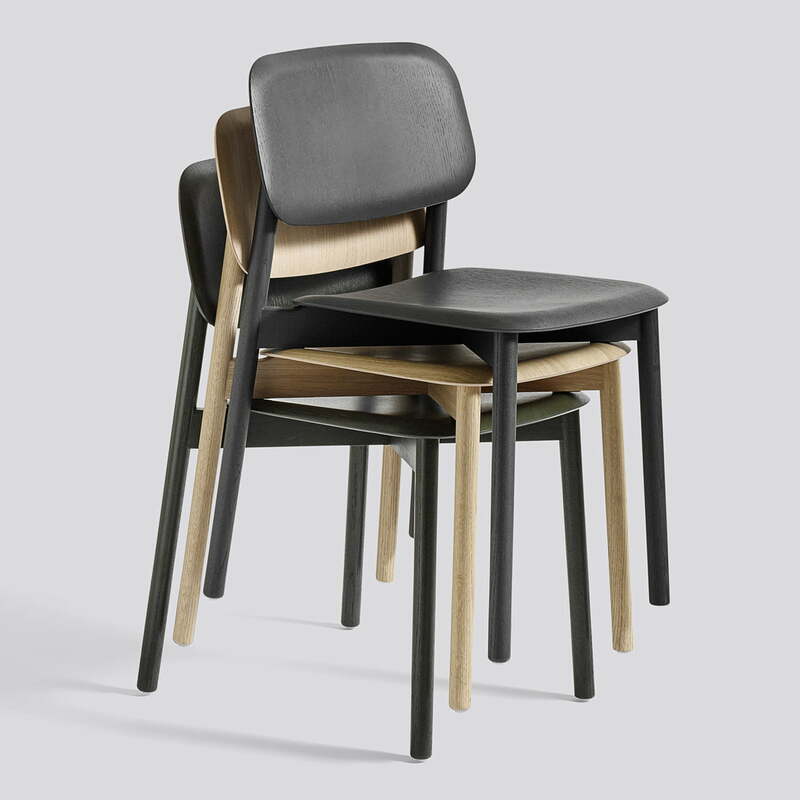 A stackable, discreet and very light chair, which allows ‘dynamic sitting’ with a soft moulded seat and backrest. The idea of a rigid sitting position is absolutely obsolete. The way we have shaped the seat and backrest: We’ve consciously defined more than just the front and side, which means you can move. This is what makes the chair so comfortable. Dynamic comfort is the only comfort that’s normal for our bodies. We move the entire time while sitting, and that’s natural. 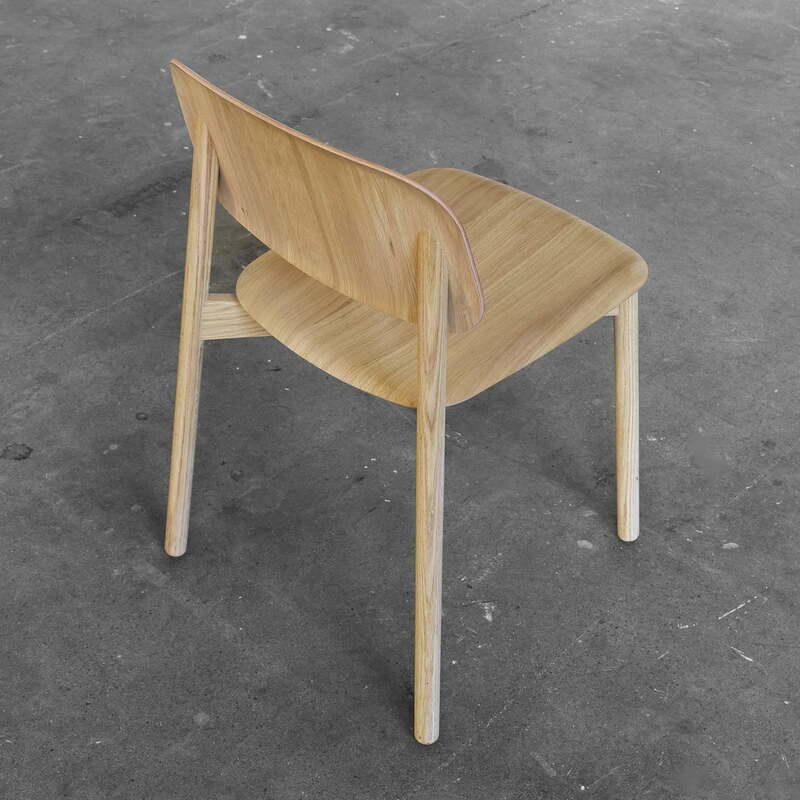 Individual image of the Hay - Soft Edge Chair. 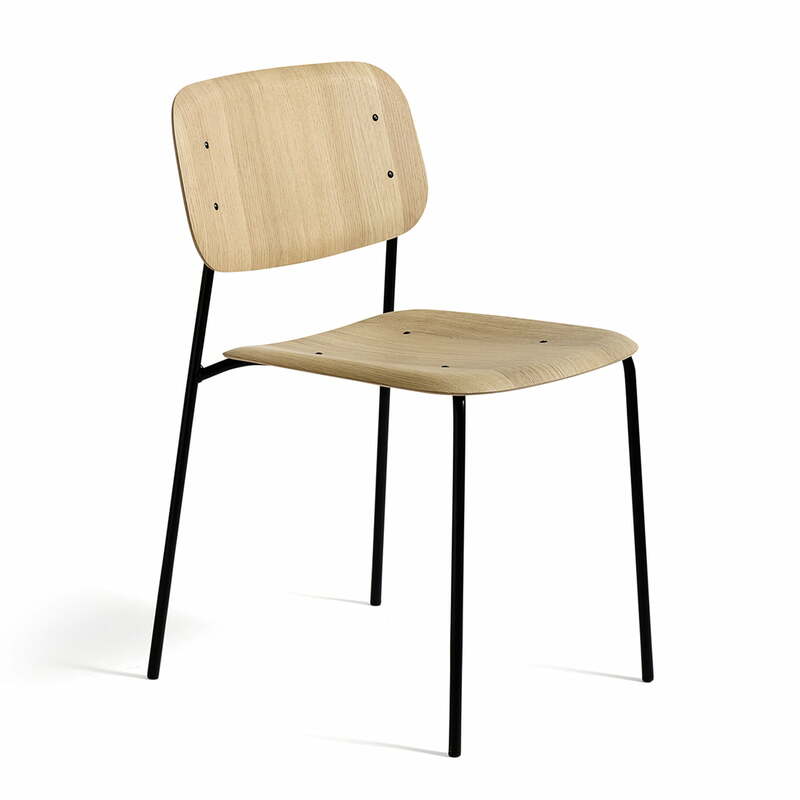 The chair receives a natural and minimalist design from matt Lacquered Oak veneer and with wooden frame. 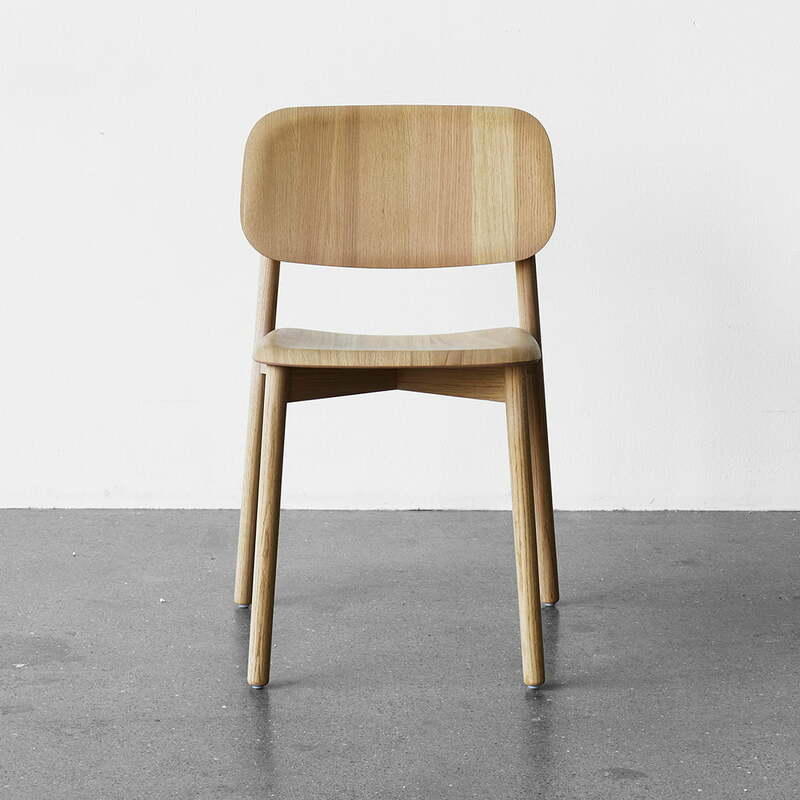 Individual image of the Hay - Soft Edge Chair. 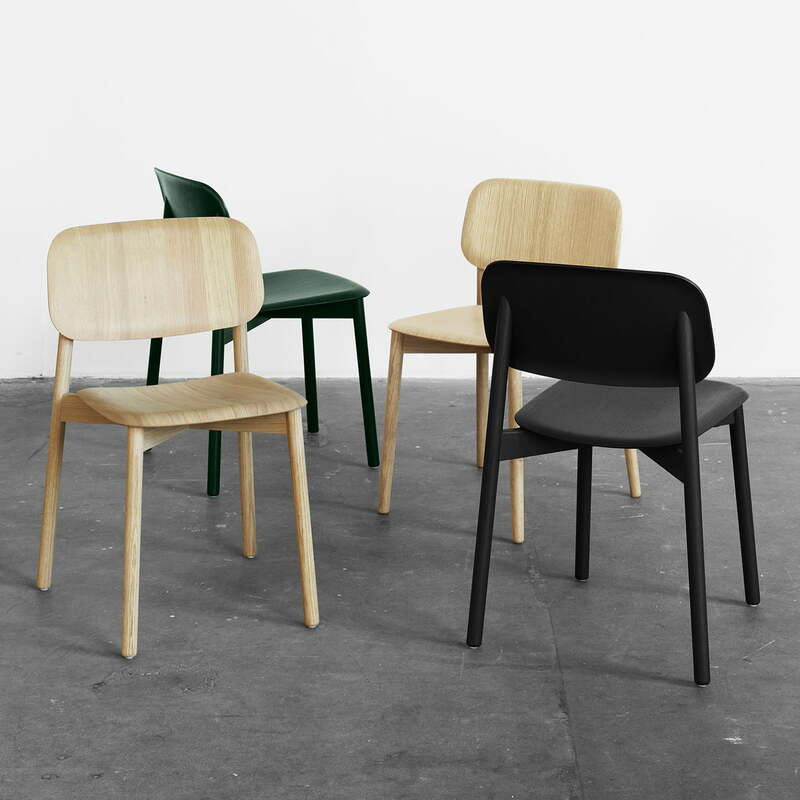 The Chair is characterised by soft edges, all of them curved to not interfere with the body. This ensures a high seating comfort. 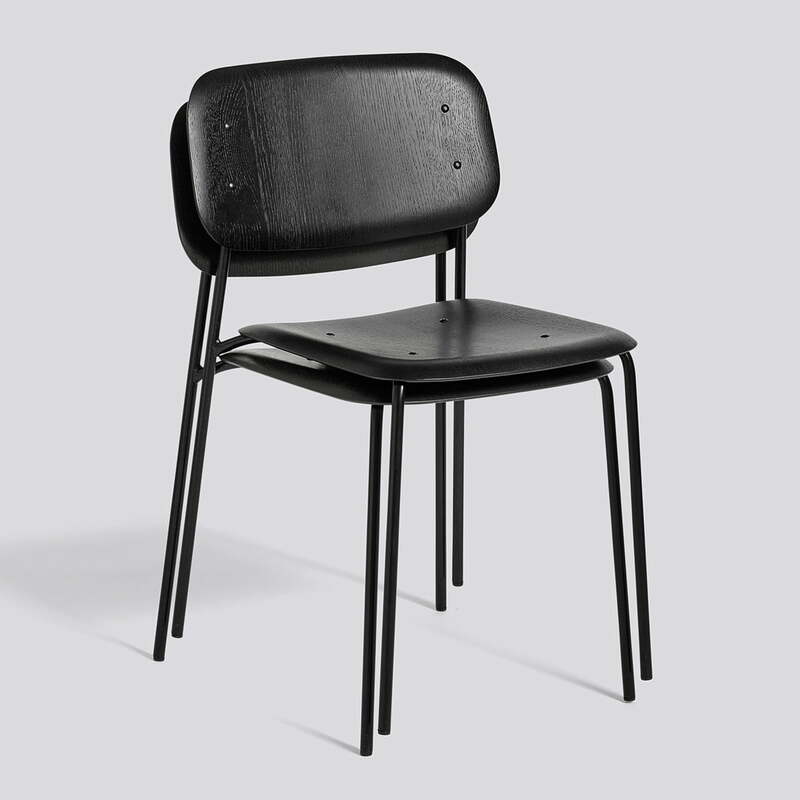 Individual image of the Hay - Soft Edge Chair. Since the 50s, people have experimented with veneer. 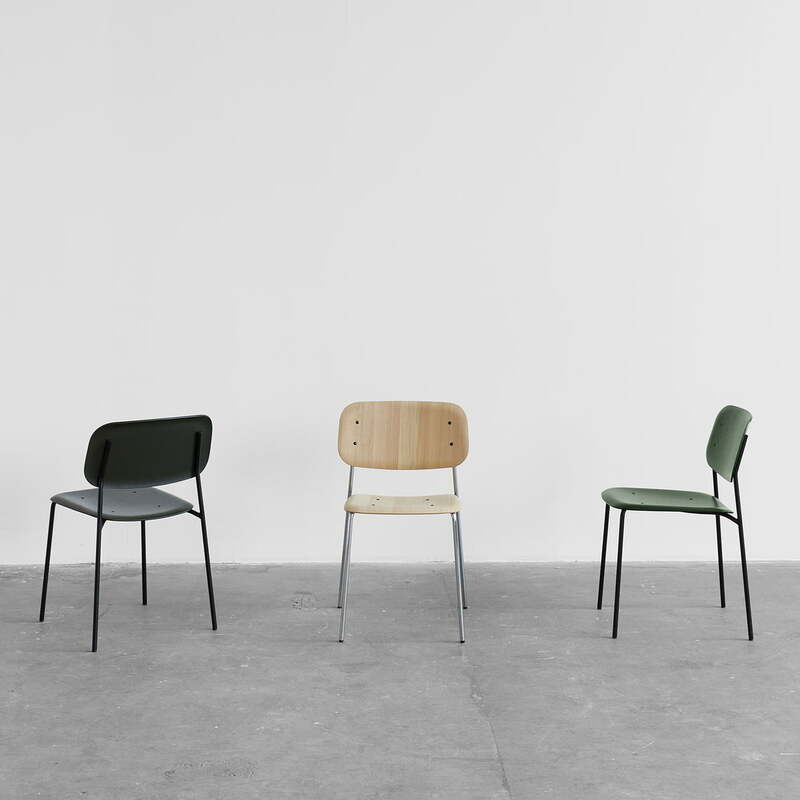 This chair is on the cutting edge of technology and allows a dynamic seating posture. 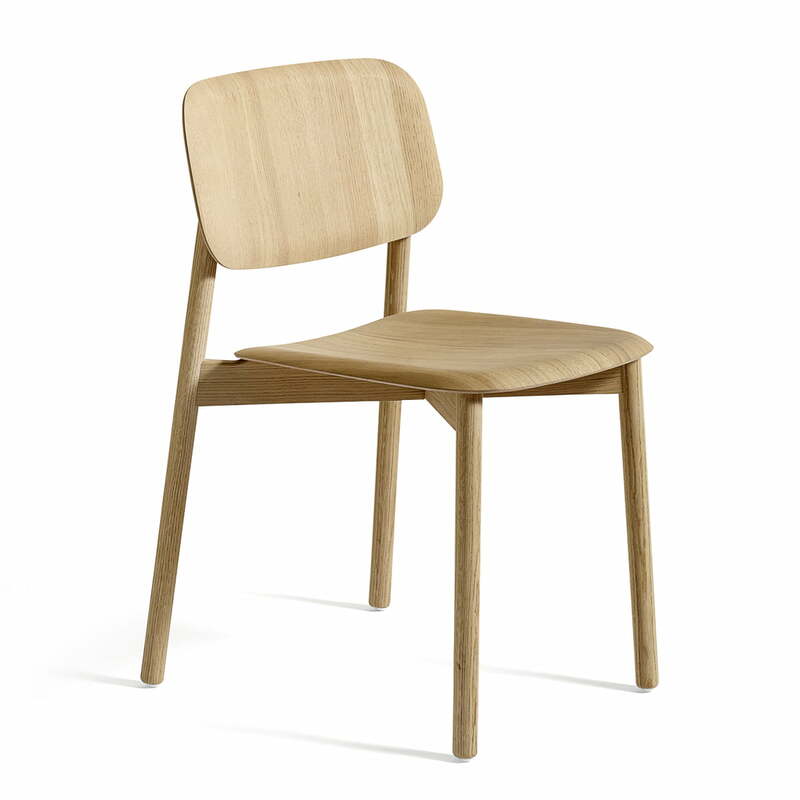 Lifestyle product image of the Hay - Soft Edge 12 Chair, smoked oak. 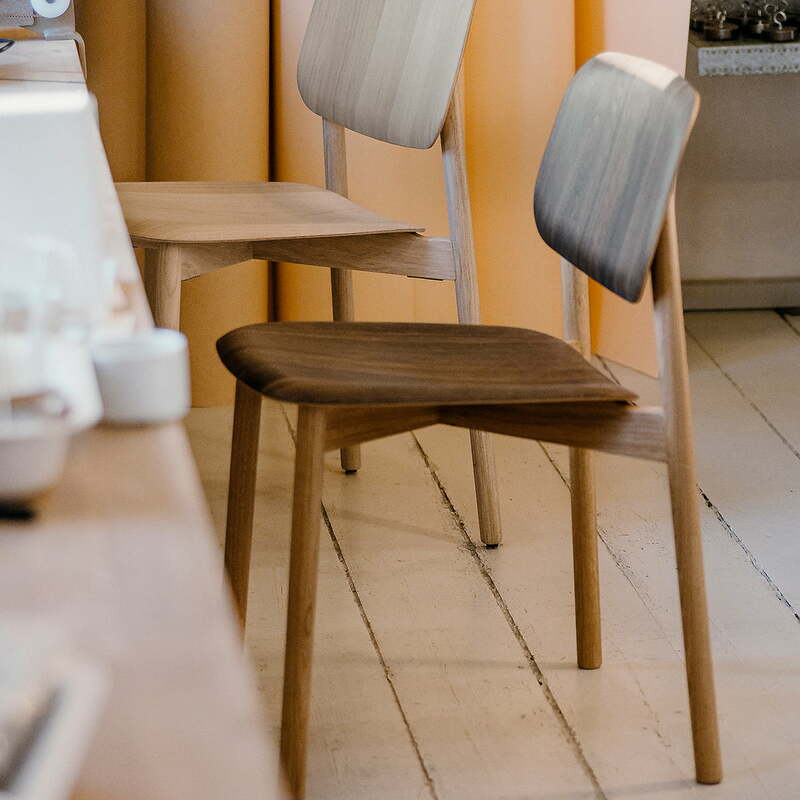 Arranged at the kitchen table, the Soft Edge 12 chair is a natural highlight, that effortlessly creates a homely atmosphere.